For the third time, PADI Platinum Course Director Mark Soworka from dive-careers.com will visit Sea Spirit Diving Resort in Taormina, Sicily, to start an amazing Instructor Development Course! If you’re ready to continue your professional dive adventure and want to join one of Europe’s best organised IDCs, don’t wait any longer and join us! Already we have completed two successful IDCs in 2015 and 2016 which resulted in 10 new PADI Open Water Scuba Instructors, numerous PADI Specialty Instructor certifications and a few more PADI IDC Staff Instructors. 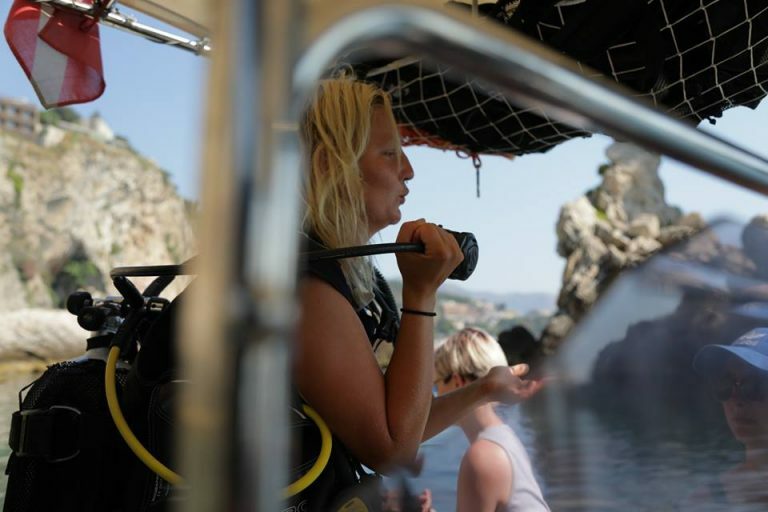 These 10 Instructors are spread out all over the world at the moment: Maldives, Dominican Republic, Thailand, Australia and some of them remain in Sicily and are now working or freelancing for Sea Spirit Diving Resort! By joining an IDC organised by dive-careers.com, you can add this unique experience to your resume and have increasing career opportunities. Dive-careers.com is recognised throughout the diving industry with a large network of PADI professionals who work together to encourage progression and development to your professional career. Just in case you forgot: Sicily is the biggest island in the Mediterranean sea, located in the south of Italy. Not only is there a wealth of history to discover, there is also fascinating nature, including the volcano Etna in our backyard. Of course, the Italian kitchen is one of the most famous kitchens in the world and the Sicilian one is even better, just only try the ‘Pasta alla Norma’ and you will know what we’re talking about. Don’t forget the Sicilian sweets like Cannoli and the Sicilian wines like the Nero d’Avola! But let’s get back to the IDC. What makes this IDC in Sicily even more unique is the different programs that are included in this IDC such as, a SCUBAPRO Workshop and, if you are interested in freediving, Mark can guide you to the first level of PADI Freediver. Towards the end of the IDC it’s possible to join the classes to gain several Specialty Instructor ratings also. Join us on the Sea Spirit IDC starting on the 10th of October 2017!